WASHINGTON Nine Japanese auto parts manufacturers and two of their executives will plead guilty and pay $740 million in criminal fines for conspiring to fix the prices of more than 30 products sold to many of the world's largest automakers operating in the U.S., the Justice Department announced Thursday. Will your car be driving itself by 2020? 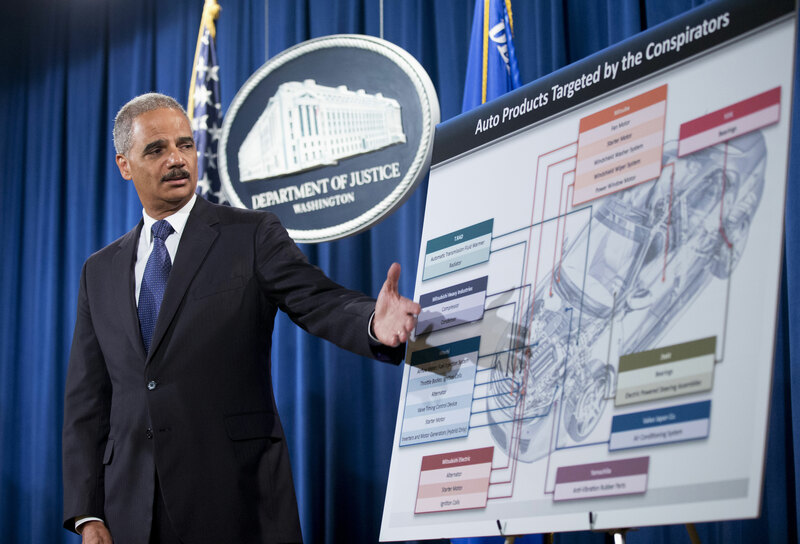 Holder said the government will continue to "check every hood and kick every tire" to end the price fixing, he added.